You can create a new custom typography scheme with the help of this Custom fonts dialog box. Displays a drop- down list of the Google web fonts that can be used on web pages without any crash limitation. You can select any out of these. 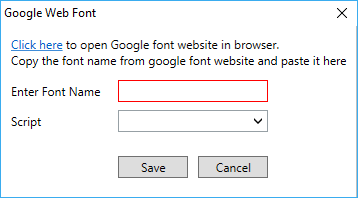 From here, you can directly move to the Google font website to choose your preferred web font and enter that font name in the given text box and select script type and just Save it. It will be added to the Google web fonts list of TemplateToaster. 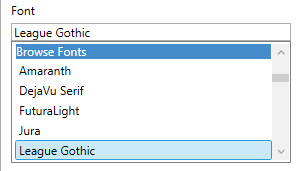 It is a drop-down list of custom fonts and you can select any preferred font. Even you can Browse your own custom font with help of Browse button that will help you to locate the desired file. And it will be added to the current list of fonts. 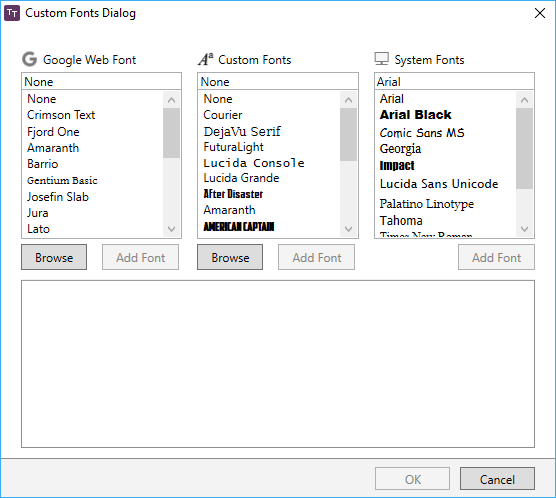 Shows a drop- down list of primary fonts that are available with the operating system. You can choose any font as per your need. Adds your selected font style to the main typography list.